Rupert Pupkin Speaks: Underrated '98 - Ashley Harris ""
Ashley is hopelessly obsessed with cinema, completely consumed by Francois Truffaut and Humphrey Bogart's eyes, and can be found fawning over David Lynch on 25yearslatersite.com. You can also find her on Twitter @oOoOoBarracuda. Celebrity is an often overlooked entry in Woody Allen's filmography. It's dialogue-heavy with a sharp wit, as all of his films are, though it is a bit more pensive than a usual Allen outing. Kenneth Branagh and Judy Davis play a divorced couple who must rediscover their identities after their union crumbles. A quieter, more deliberate attempt at self-realization, Celebrity invites the audience to examine their own lives and how much we know about ourselves. When the half of the former couple that was expected to enjoy success proves to flounder, it reminds us that no matter how much we think we have life figured out, it will forever offer surprises. Filmed in glorious black and white photography, Celebrity should sit nicely among Allen's best. 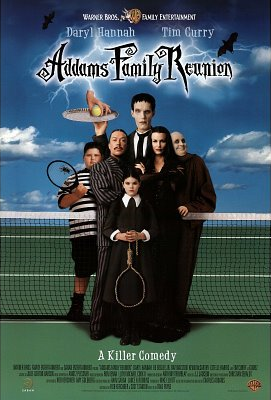 Sure, Tim Curry is excellent in any role, but he was especially captivating as Gomez Addams. Playing opposite Daryl Hannah as Morticia, Curry perfectly chewed scenery until there were none left. Payne takes the familiar story of The Addams Family and sets them on a mission to find their family in hopes to prevent the elder Addams' from turning "normal." Reunion was my introduction to The Addams Family and watching this zany band of misfits as a child made me eager for more spooky outings. With a stellar cast including Brad Pitt and Anthony Hopkins, Martin Brest adapts the 1934 film, Death Takes a Holiday as Meet Joe Black for 1998 audiences. Death, played as alluring as ever by Brad Pitt, decides to take on human form to learn about life. While on earth, death misfires and falls in love realizing, first-hand, the grip love has over the human, or in his case, non-human spirit. 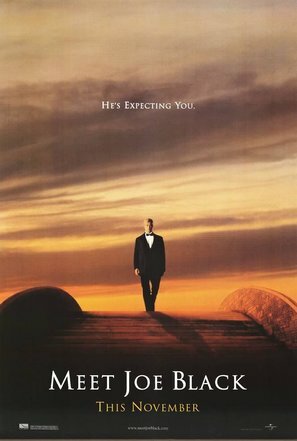 I love any movie that brings with it a self-awareness that demands audiences evaluate their existence which, no doubt, is best done through a film dealing with existential themes such as Meet Joe Black. Any horror fan looks up to James Whale for first bringing to the screen the classic universal monsters in films such as Frankenstein and The Invisible Man. Who wouldn't want to imagine having the opportunity to spend time talking to and befriending the famed director? Gods and Monsters imagines Whale near the end of his life, only moderately happy, living in the shadows of the giants he created. Never finding lasting love, and feeling forced to suppress his sexuality for most of his life, it is heart-wrenching to think that despite all of his contributions to film and audiences, Whale was never able to beat the demons in his mind. 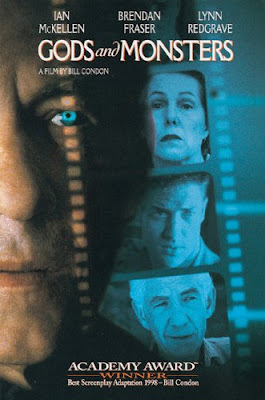 Ian McKellen dazzles as James Whale, and Brendan Fraser turns in a career-best performance as the veteran-turned-gardener Clayton Boone who desperately tries to inject some life back into Whale during their time together. Run Lola Run is a film I don't hear talked about nearly enough for my liking. The story is a frenetic one and follows Lola throughout her quest to reach her boyfriend and deliver to him the large sum of money he lost while smuggling it into the country. If she does not reach him with the money in time, he will rob a store to obtain the money he owes. The catch--she only has 20-minutes to get the money to him. Throughout the film, we are shown three different outcomes based on the three methods Lola uses to get the money. 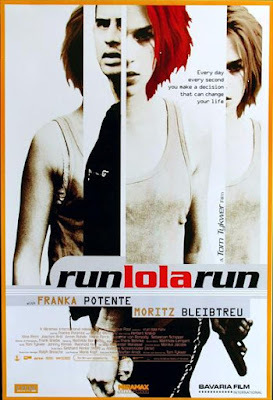 Effectively illustrating how much simple events can change the course of our lives, Run Lola Run offers a commentary on the depths of control we have over our lives and delivers at a break-neck speed. The pace and the energy electric made only more exciting by its earnest outlook on life.